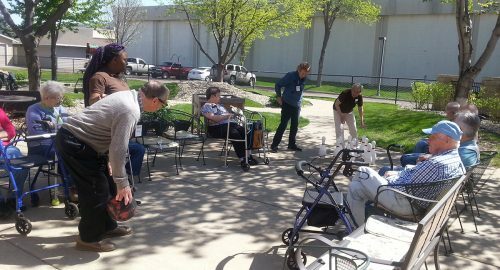 Active Generations’ Adult Day Services programs enable adults of all ages to maintain their independence by providing a safe, home-like environment in a community group setting that offers therapeutic activities, exercise, healthcare, and nutrition services. Those that participate in this program can expect a day full of activities that promote social, physical and emotional well-being. Day Services for Adults provides respite for caregivers so they are able to continue working or relax and take time for themselves. Ceili Cottage Adult Day Services is specialized care for those living with Alzheimer’s disease or other types of dementia. Click HERE to support the Petals for Parkinson’s Fundraiser.